The P-Nats (9-10-Overall, 5-3-Road) traveled to Winston-Salem (9-9-Overall, 5-6-Home) but fared no better away from home, dropping the series opener with the Dash 5-3 at BB&T Ballpark to lose their fourth ballgame in a row. Toeing the rubber for the first time in 2015 after joining the P-Nats on April 24th was RHP John Simms (0-1, 7.36), who did suit up for Potomac for parts of 2014. The righty James Dykstra (3-0, 0.78) made his fourth start of the season for the Dash and second against the P-Nats. In his first start against Potomac Dykstra no-hit the Nationals in a seven inning affair at The Pfitz on April 15th in Game One of a doubleheader. Extending his on-base streak to 13 games with an infield single to begin the ballgame was SS Wilmer Difo in the top of the first against Dykstra. Two batters later RF John Wooten moved Difo to second base on a groundout before C Spencer Kieboom brought him home for a 1-0 Potomac lead. Kieboom, with the RBI single, extended his hitting streak to eight games, the longest of the season for a P-Nat this year. Simms cruised through two no-hit innings against the Dash until the bottom of the third. A lead-off double by LF Nick Basto began the hit parade. After SS Cleuluis Rondon moved Basto to third with a groundout, Simms issued back-to-back walks to RF Keenyn Walker and CF Adam Engel. 2B Jake Peter stepped up and lined a single to left field that brought home both Basto and Walker for a 2-1 Dash lead. The 3B Trey Michalczewski followed with an RBI groundout that scored Engel from third after an error charged to P-Nats LF Estarlin Martinezmoved him there. The run pushed the lead to 3-1 Dash. Dykstra, who allowed five hits and one run through three innings to the P-Nats, called for the trainer a second time in his three innings and was then lifted due to an unknown injury. Out of the bullpen came RHP Jose Brito (1-0, 5.06) who picked up right where Dykstra left off, pitching a scoreless fourth and fifth frames for the Dash. Potomac got to Brito in the sixth when CF Isaac Ballou led-off with a single. He was safe at second on a throwing error charged to the shortstop Rondon on a ground ball hit by Wooten and then Kieboom walked to load the bases. Brito uncorked a wild pitch that brought Ballou home to cut the lead to 3-2 Dash. Simms was lifted after 3.2 innings on the mound allowing three runs (all earned) on two hits, three walks and he struck out two. Simms took his first loss of the season in the ballgame. Replacing Simms was the RHP Tyler Mapes, making his second appearance of the season, who was touched for single runs in the sixth and seventh frames. Michalczewski singled and moved to second in the sixth on a ground ball before scoring on C Omar Narvaez’s RBI single. In the seventh it was three straight singles off Mapes that plated a run, Engel scoring on Michalczewski RBI single, picking up his second RBI of the day for a 5-2 Dash advantage. Brito earned his first win of the season for his three innings of one run, one hit pitching, adding a strikeout in his outing. He gave way to RHP Michael Ynoa, who logged two scoreless innings and then RHP Zach Isler (SV 2), who was dinged for an unearned run in the ninth after DH Khayyan Norfork reached on an error and scored on a Martinez RBI groundout for a 5-3 game. Isler picked up his second save of the season in the 5-3 Dash victory. Dropping the series opener to Winston-Salem, Potomac has now lost four in a row, their longest losing streak of 2015 and matching their longest losing streak of the Mills Cup Championship 2014 season. Tomorrow’s Game Two is an 11:00 am first pitch from BB&T Ballpark and features RHP Wander Suero (3-0, 2.50) for Potomac vs. LHP Jace Fry (0-3, 2.45) for Winston-Salem. 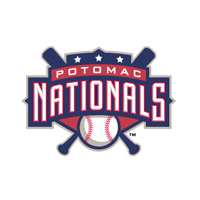 The “P-Nats Lead-Off Show” will begin the broadcast at 10:45 am and take you up to first pitch and you can listen live atwww.potomacnationals.com and via the TunIn Radio App.